Howdy neighbour! 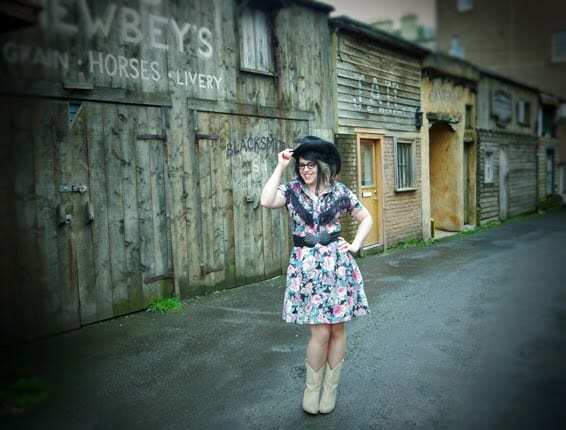 This week I couldn’t resist mixing it up a little with a Wild West themed outfit post… yeeehaw! What do you think? 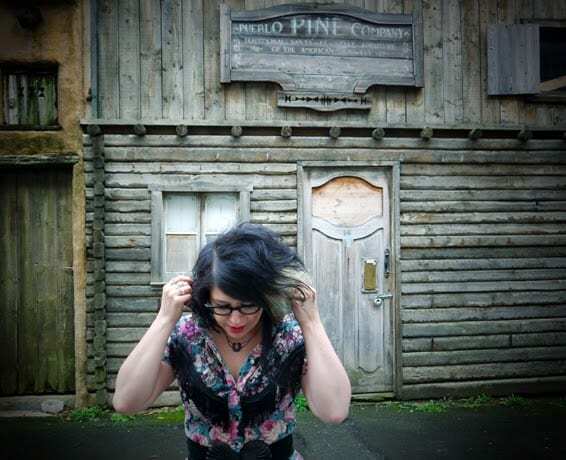 Actually, I should technically call this post ‘what I wore to see Dolly Parton’ because this what I wore to honour her last visit to Scotland 😀 Would have been rude not to kick out some Country Western style for her – she’s such a fashion icon! 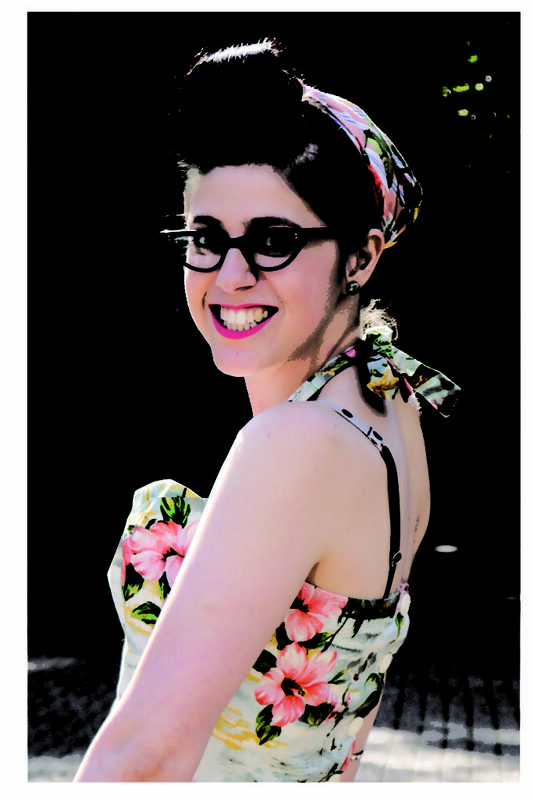 I actually thrifted this dress from a Judy’s Vintage Fair. When I picked it up it had big billowy sleeves, it was down to where my cowboy boots start and it was about 2 sizes too big for me. You should have seen Davids face! This is the first outfit I’ve properly tailored to myself and I am so proud of it. I’d doesn’t look 80s at all now! It was a big moment when I hacked off the sleeves – they were so big I used them to cover a couple of sketchbooks to record the trip I made to Tennessee. 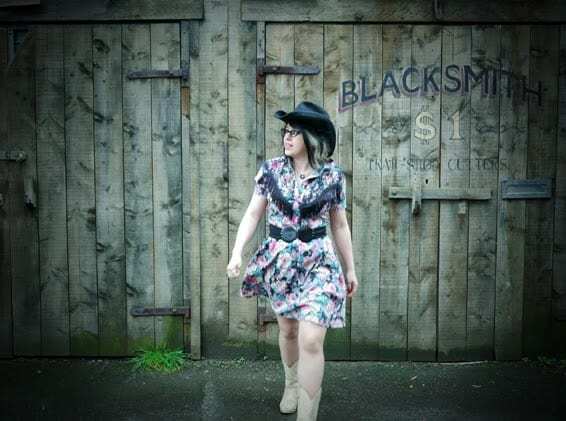 Believe it or not, I’ve worn this wonder a few times – I took it to Nashville to line-dancing in 😀 The fringe looks amazing when you’re shaking down!! 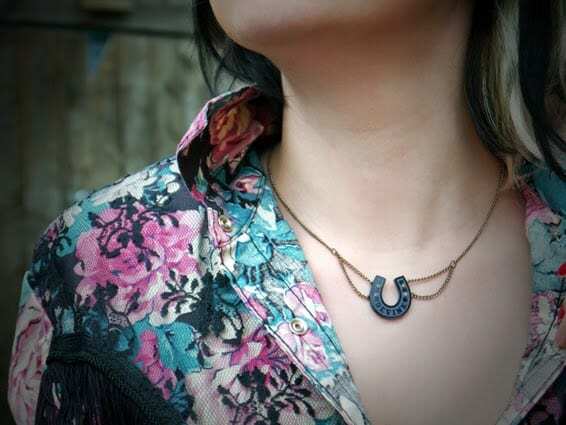 I think the only thing I got new in this outfit post is my Tatty Devine horseshoe necklace, which is something I wear a lot of the time because I love horseshoes and its vintage style. My mum got me the cowboy hat when she visited Texas a few years back and, actually, I stole the cowboy boots from her too! They’re from Nevada. This is a real “All American” look for sure! I wore the boots so much in art school that I snapped the soles and had to take them to the cobblers a few times. That’s a lot of love! This post has been a lot of fun to share – I hope you like it! I hope the next time you see something totally out there you don’t write it off because you never know what you can do with it. 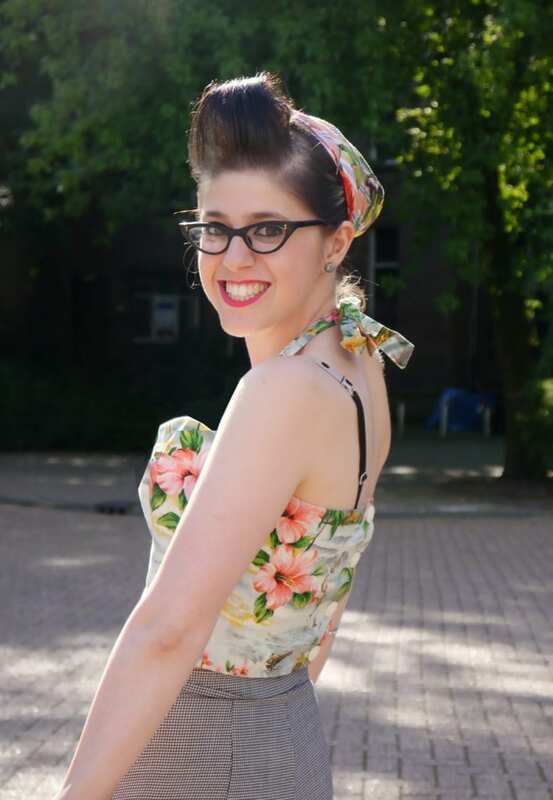 I wish I had a before picture of this dress because it was so hideous – which is probably why it didn’t cost me very much to buy – but I love it to bits now it’s been taken in and modernised. I hand stitched most of it too because I was worried I might have done something wrong, but it all measured out correctly and if I may say so myself, it worked out a dream! Take a fashion risk and find yourself a project to experiment with. If it doesnt work it’s not the end of the world – but if it does, you might have found your new party piece on a budget!! You look so country! 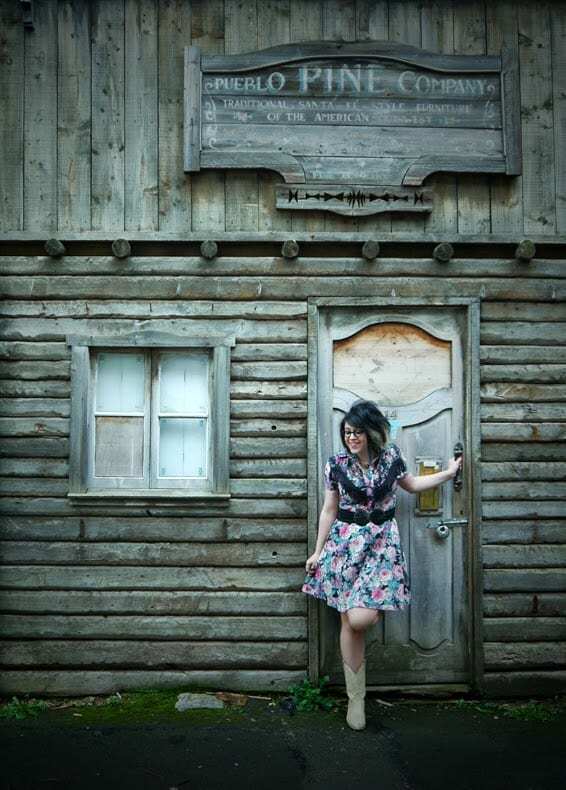 Those boots are gorgeous and I love the location, really interesting looking place.